THANK YOU, You were amazing! 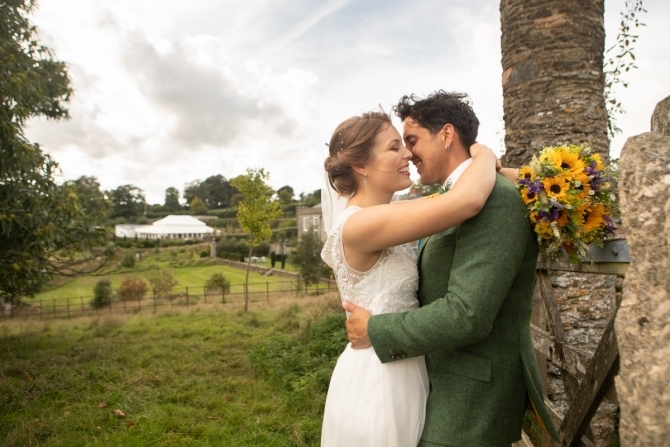 we're so chuffed that you and Tamsyn were able to capture our day! We've had so many lovely comments about how friendly and professional you were, and how you made everyone feel at ease. 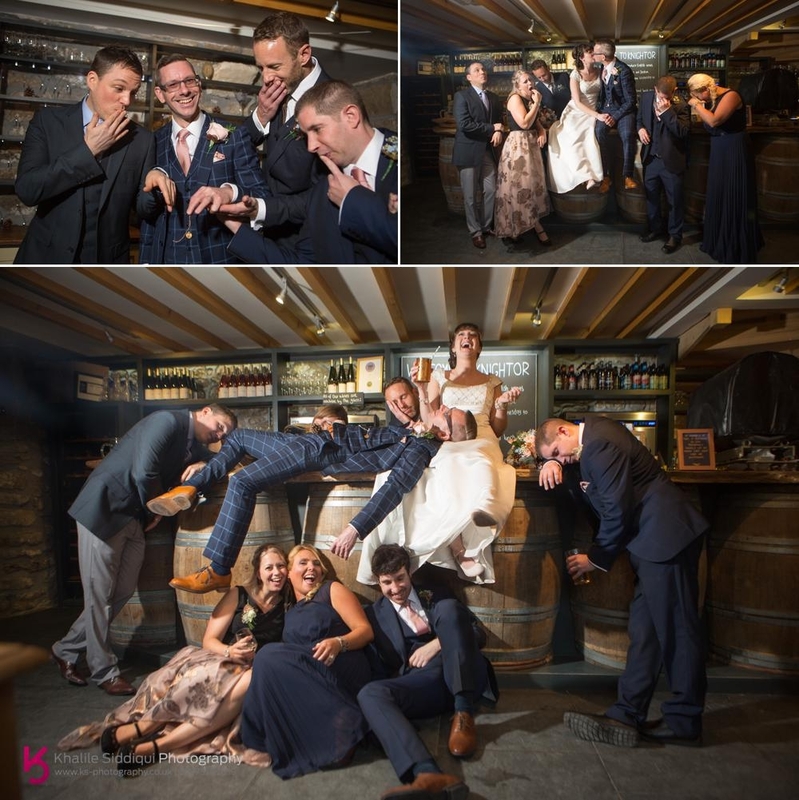 We're ALWAYS chuffed to be booked for a wedding, but Victoria and Craig's wedding at Knightor Winery was just a little bit different, because Victoria being the wedding planner at The Headland Hotel in Newquay really knows her stuff, and is the fourth wedding planner to choose us to photograph their wedding. 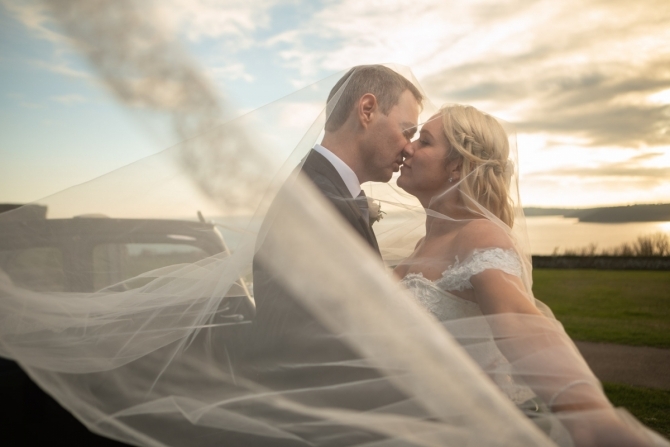 Obviously she's seen many different photographers and makeup artists in her time there, and so we felt really honoured that she decided to chose us to do their wedding photography, and Tamsyn to do the makeup also. 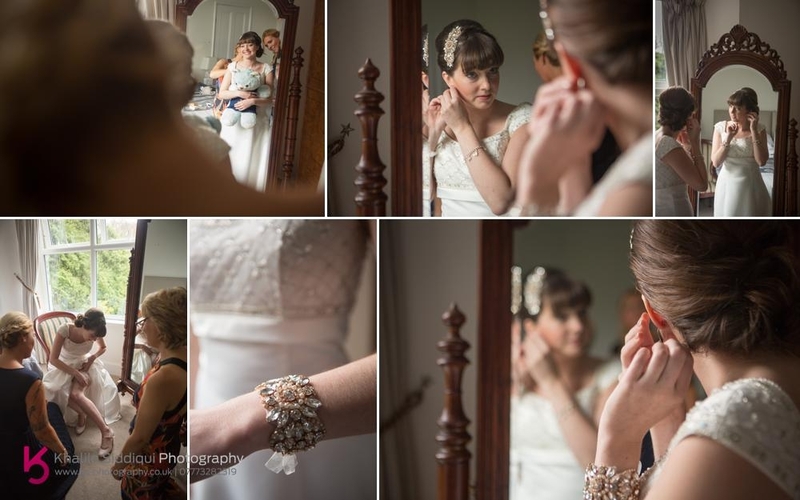 My day started with joining Tamsyn who went in early to get on with the makeup for Victoria, her bridesmaid Sarah and Victoria's mum Annette. 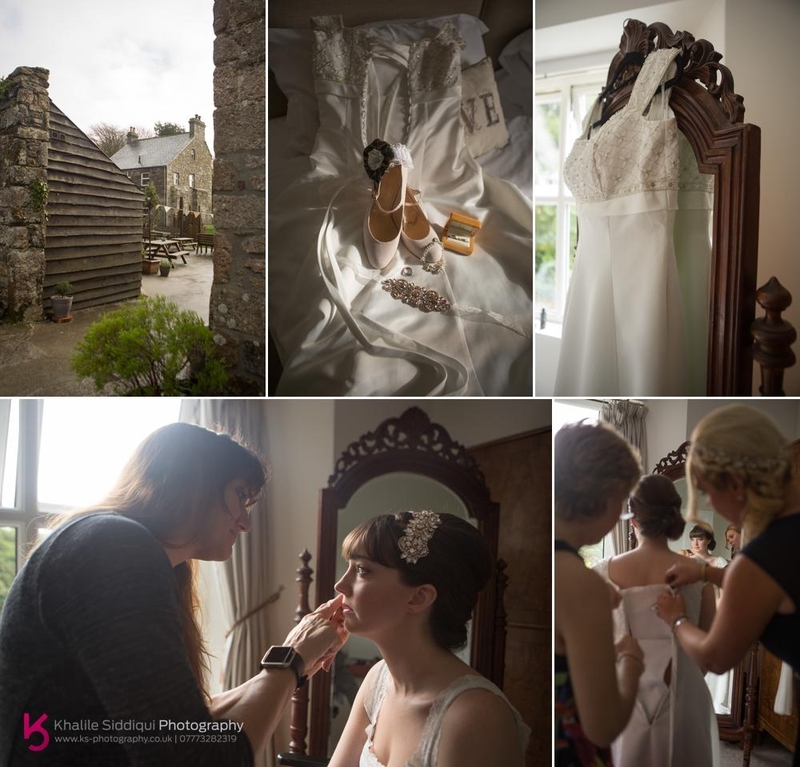 This was my first wedding at Knightor and I didn't know what to expect when I went into the accommodation, but I was pleasantly surprised as Victoria had a really lovely space to get ready in. 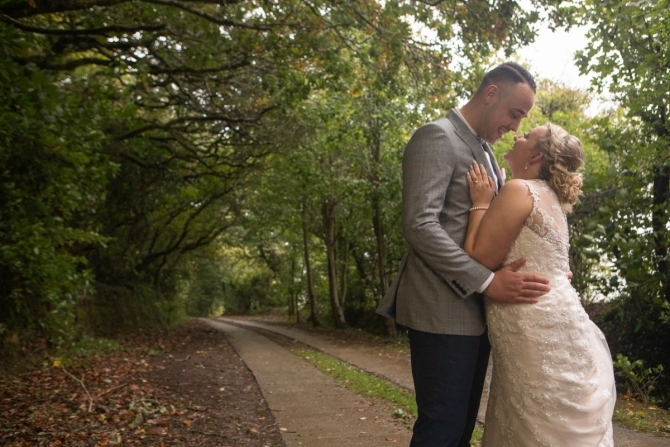 After the ladies at Chocolate in Newquay had finished Victoria's hair she slipped into her elegant wedding dress which Victoria bought at Vu's Bridal in Wadebridge. 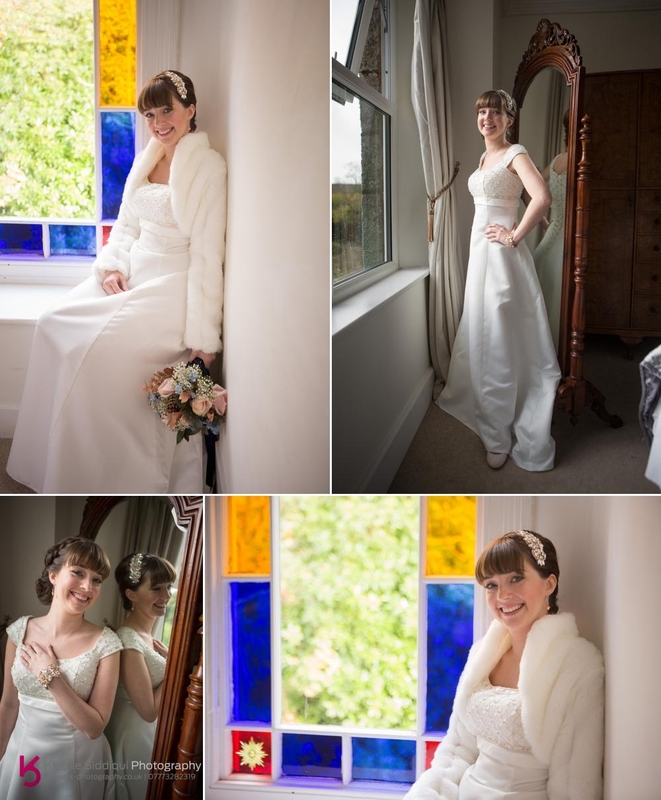 As soon as Victoria told we where she'd got her dress from I already knew she was going to look stunning. After Victoria had spoken with the registrars we got a couple of relaxed shots with her parents and Sarah utilising her flowers supplied by Belladonna. Victoria's family must have spent ages collecting all the pine cones used to help style the venue, and they were even in the flowers. 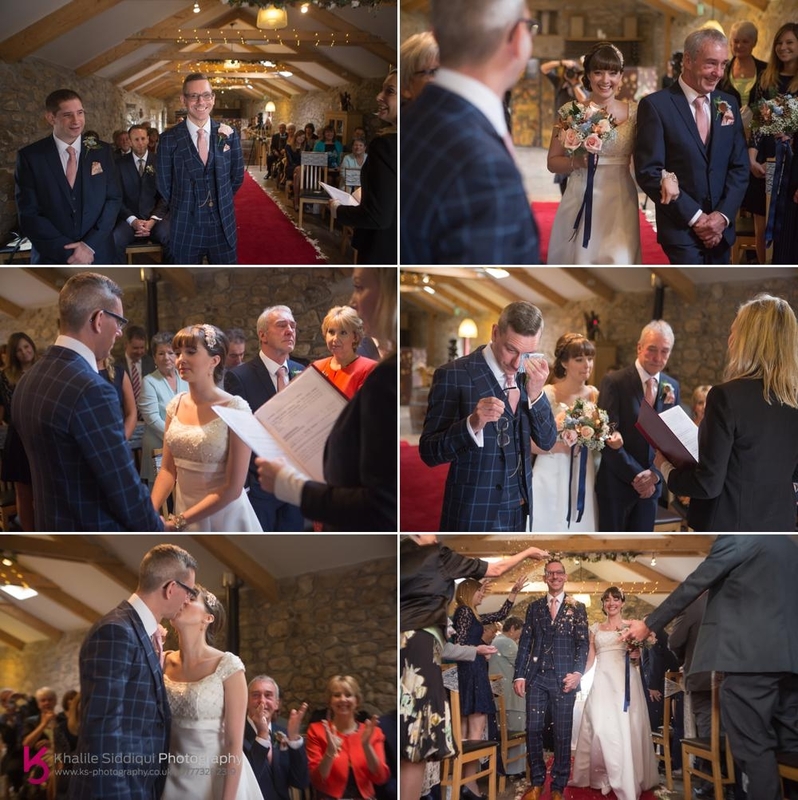 The ceremony was an emotional affair with tears from not only both Victoria and Craig, but also John, Victoria's dad and a few of the guests too. Check out poor John in the middle left photo, showing the pain only a father of a little girl could have. But the tension didn't last long, as Craig asked if I could get a few photos throughout the day using a vintage Polariod camera starting with the ceremony. I've not touched one of these things in years, and so I was mortified when I chose a point during the vows to take the first shot, MAN ARE THESE THINGS NOIZY!!! I just wanted a hole to swallow me up, but EVERYBODY cracked up, and Victoria thanked me for breaking the tension, as everyone was a lot more relaxed afterwards (Don't any of you future brides get any ideas about me doing this again, I was so embarrassed). 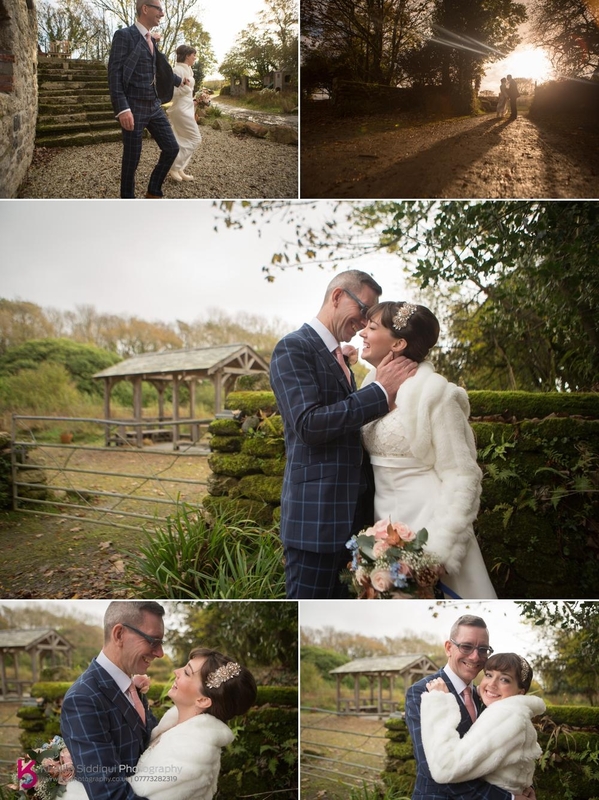 There was a bit of the good old Cornish Mizzle around outside so we stayed indoors for the group shots and congratulation drinks. Mixed in with a few playful group shots too. 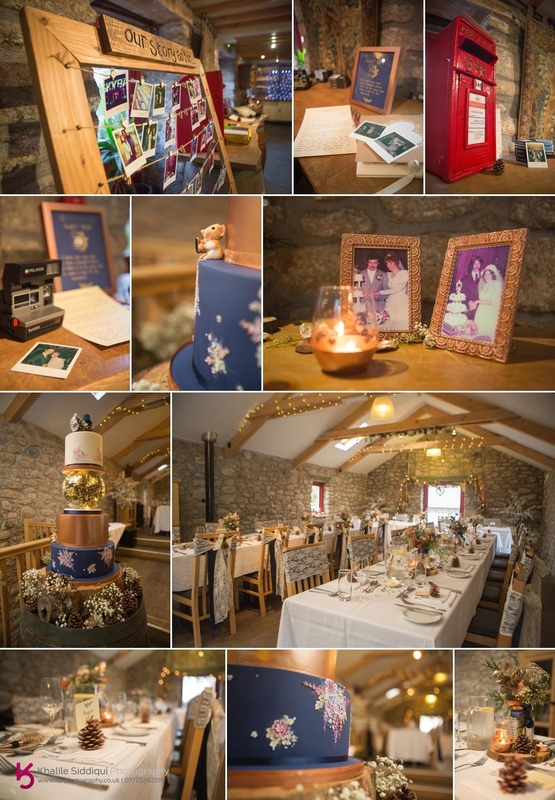 Victoria and Craig asked Unique Designs By Tina to help them style the venue with a few little touches, and they looked beautiful next to their Sweet Thoughts Cake. 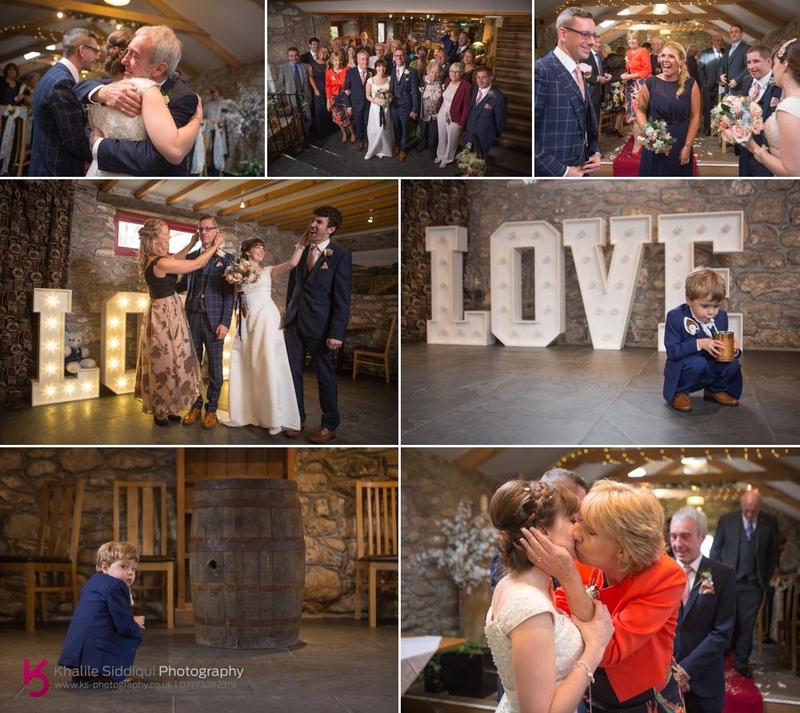 I've got a little thank you to throw in here to Catherine and the team at Knightor, they made not only the guests but Tamsyn, myself, and Richard of I Do Wedding Films feel just as welcome as everyone else, especially when I came to the food. It was delicious, there was loads of it, and MAN was that beef wellington good! Well worth checking their restaurant out for food when you go for a wine tasting there!!! 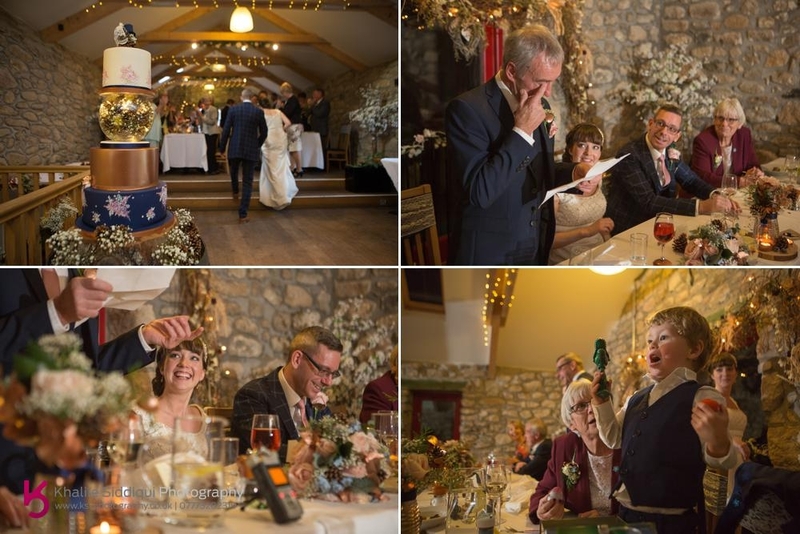 After the meal, Victoria's dad did his speech but the rest were saved for the evening, as the number of guests went up from 30 to 129 and so Victoria and Craig wanted to involve the evening guests as much as possible. 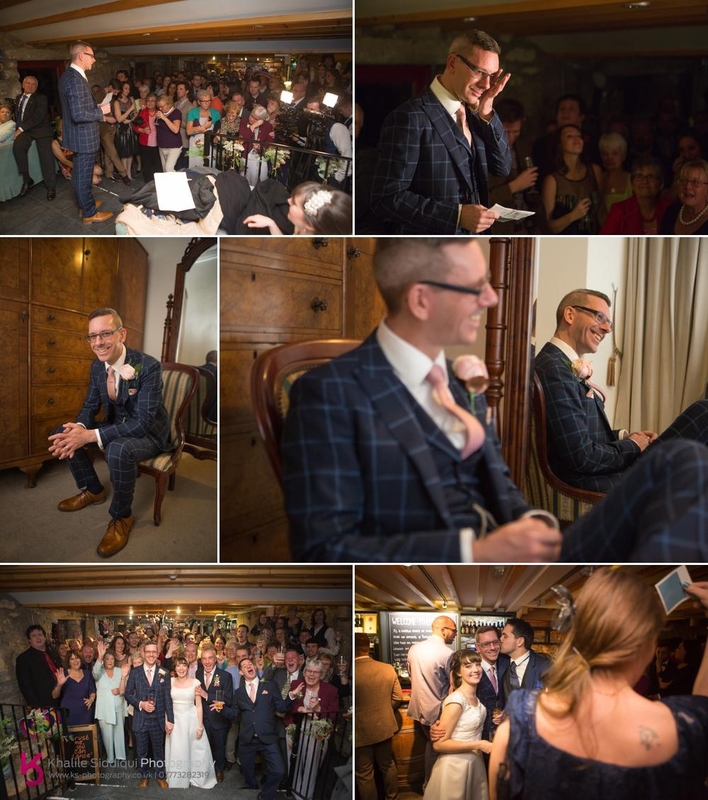 With Craig's father passing away only a few months ago it was a really emotional affair, but with the support of his many friends and beautiful wife, Craig show great strength of character and pulled off one of the best groom speeches I've be fortunate enough to witness. 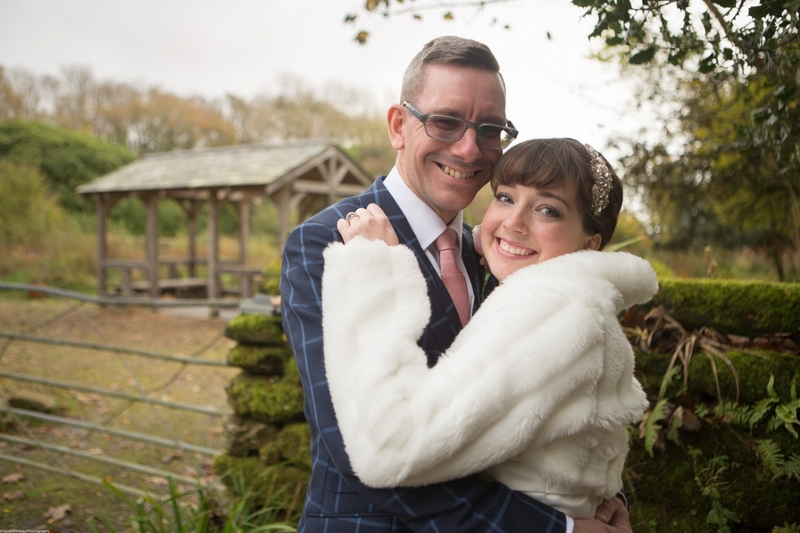 Oh and I've GOT to mention Craig's suit, MAN did I have suit envy over his Victor Valentine, he rocked it well! 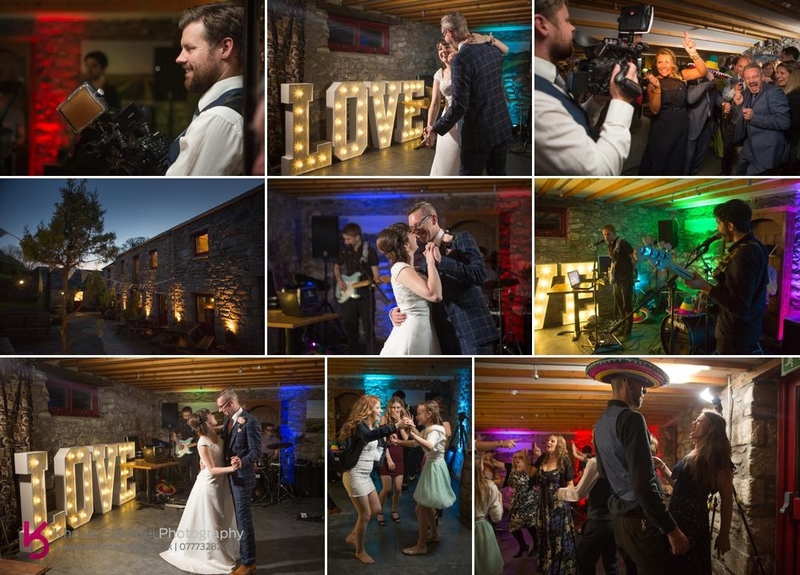 Victoria and Craig hired some LOVE lights from Special Days Hire and they looked great on the dance floor, especially when the band The C90's kicked off with a cracking mix of indie rock getting the crowd jumping! 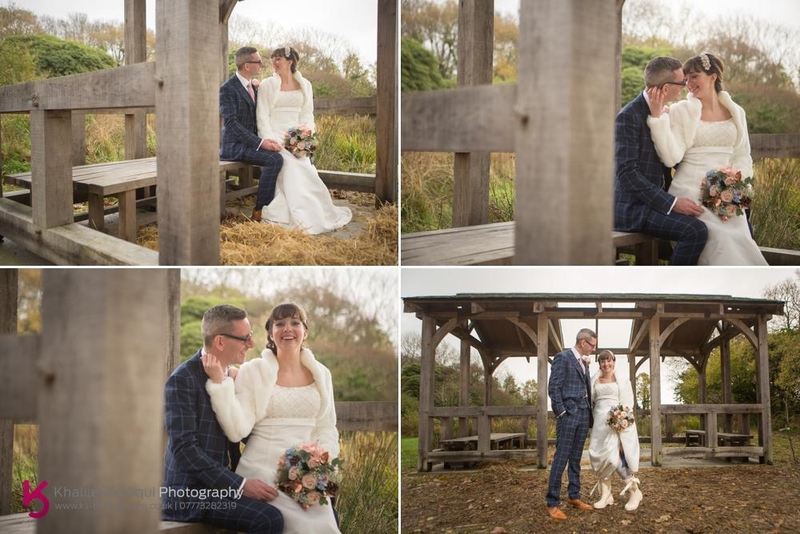 Dearest Victoria and Craig, thank you so much for entrusting us with your very special day, we LOVED it!